It was a fun exhibition. Agnieszka Radwanska and Petra Kvitova were both taking it very easy. 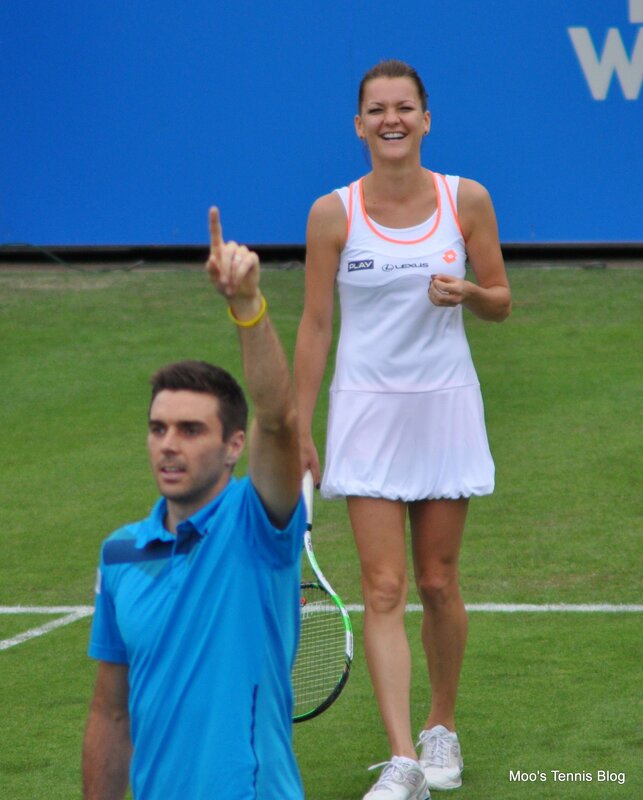 It was lovely to see them both smiling on a tennis court, particularly Radwanska! Greg Rusedski tried his best to get the crowd involved and did all the obvious exhibition moves such as giving his racquet to the ballgirl. 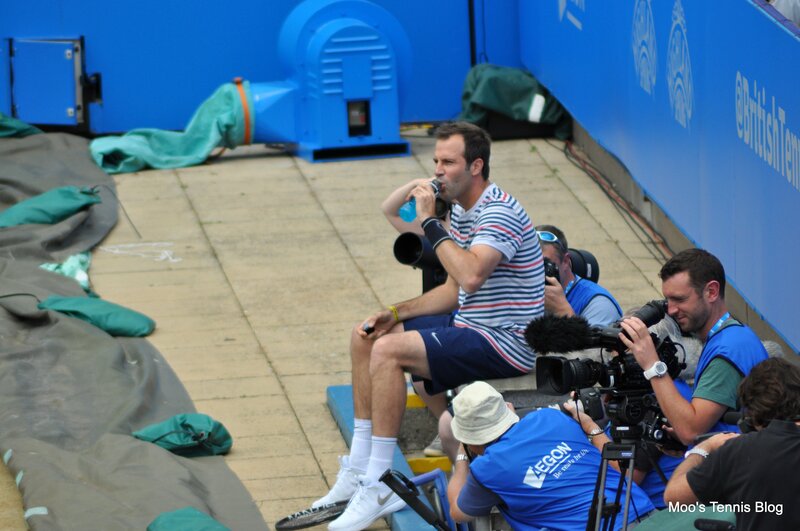 I’m not a fan of Rusedski as a pundit, but he was fun to watch. I particularly enjoyed the kid who shouted out “you’re not funny” or words to that effect. The funniest moment was when Colin Fleming was receiving serve, someone shouted out “hit it to his backhand, it’s his weakness”. The kid who shouted it then came on court for a couple of points. He turned out to be really good and did some epic grunting to the amusement of the crowd. There was a nice one minute applause at the end of the match. I much prefer these applauses to silences although clapping for one straight minute gets really weird after a while. All four players said some nice words about Elena and I captured Petra’s words below. 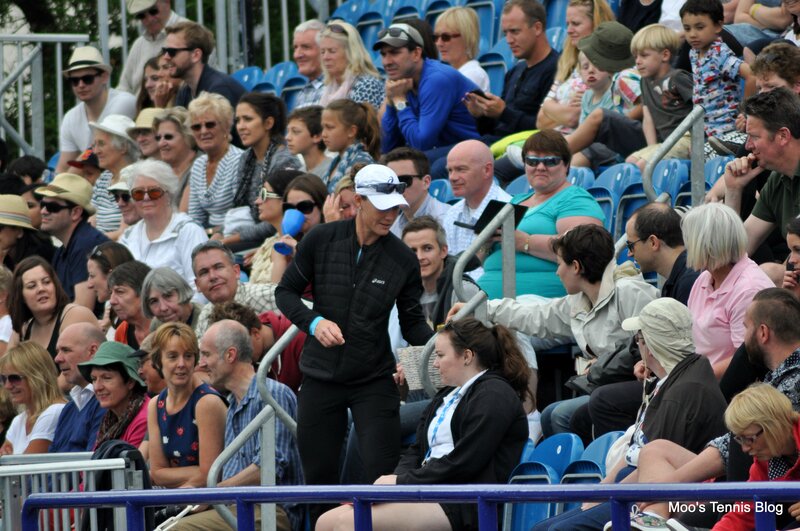 Sam Stosur was touring the stands with buckets for donations and Rally4Bally wristbands, of which I am still wearing mine. I was gutted they didn’t come into the south stand! Major props to Sam, she is such a throughly decent person. 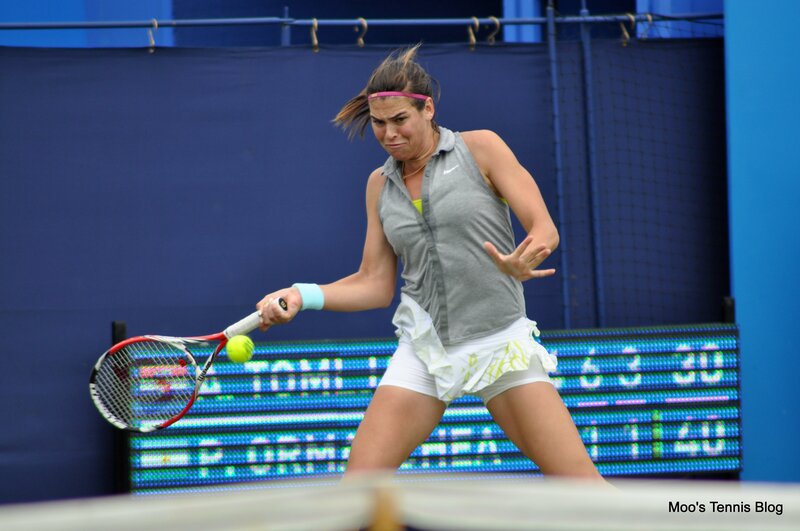 I only saw the third set, but Tomljanovic was clearly the better player in this match. She was striking the ball well and Ormaechea was struggling to deal with the pace and low bounce. Ormaechea was screaming at the end and the only words I caught were por favor! 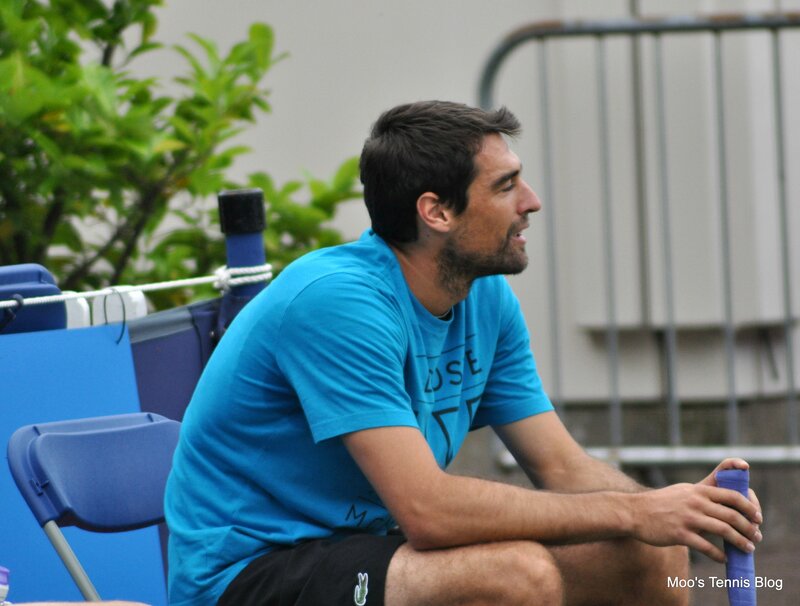 I also noticed Federico Delbonis was watching this match. I watched most of the second set and it was MESSY. Pliskova went up a set and break as Voegele struggled to put the ball in the court. 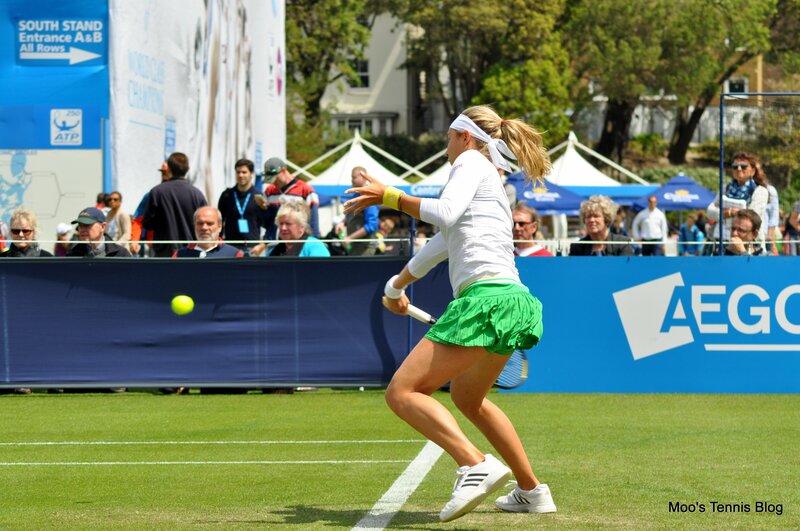 Stefanie committed so many unforced errors. There were plenty of shanks and miscues in this match. Voegele settled midway through the set as Pliskova played a couple of really loose games. 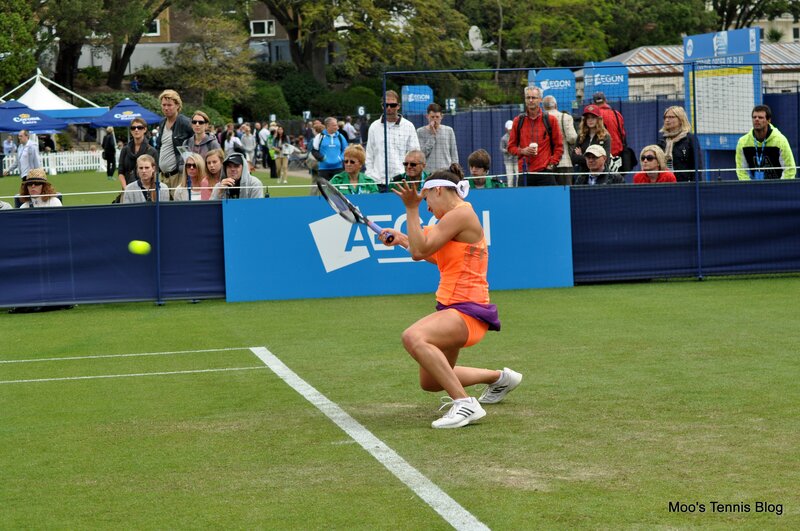 Pliskova’s movement and more importantly, her ability to get down low and bend her knees was non-existent on the grass. Pliskova was dealt a couple of ropey line calls in this match. Her coach kept shaking his head in disgust at the lines judge sitting directly in front of him. 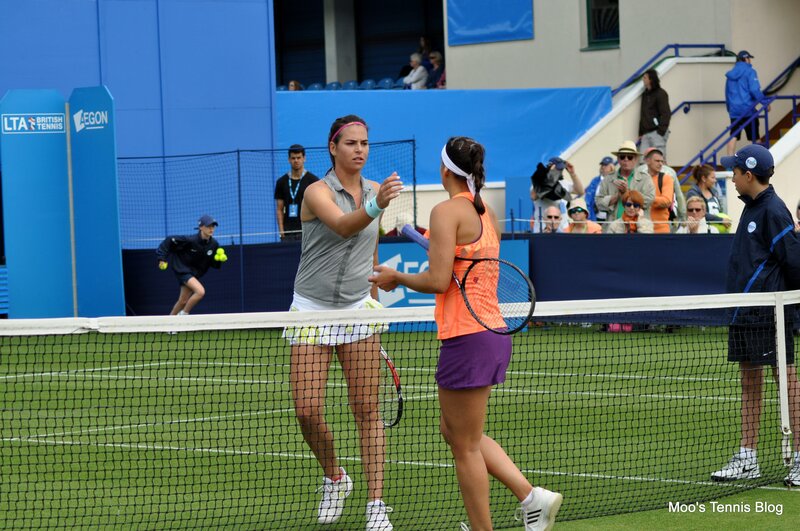 Belinda Bencic came to watch this match during the second set. I was surprised Voegele won a set. I stayed on Centre Court for the first set of this final qualifying round match. There were some good points, but Goffin just made too many errors and was frequently coming up second best in the backhand to backhand rallies. 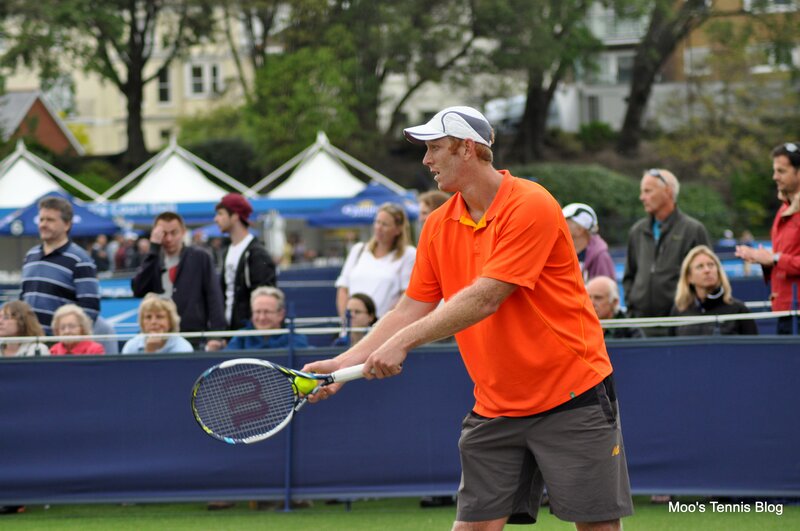 The Brit, Dan Cox lost in a third set tiebreak against Guccione. Cox was getting really frustrated in the third set and he shouted out “this is boring” and what sounded like “I might as well just give up”. He fought reasonably well and had some support, but I didn’t like his attitude and he looked fed up trying to return Guccione’s serve. Looking at Guccione’s stats, this appeared to be his first singles tournament in like forever. 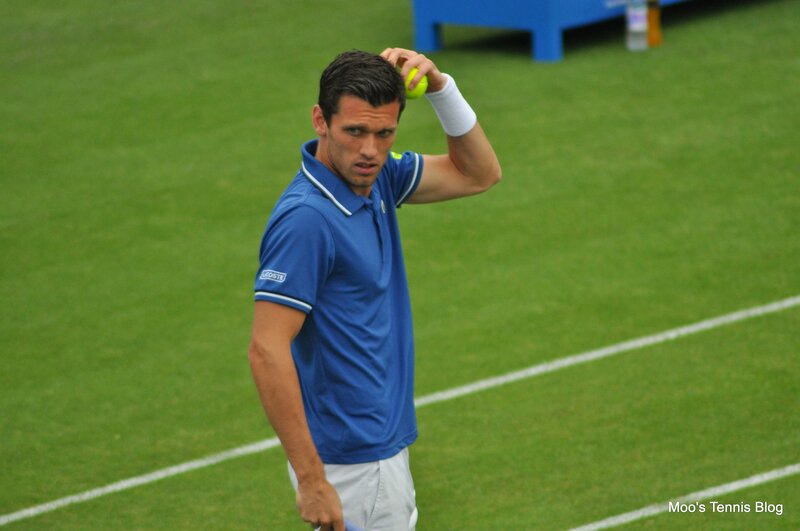 He normally just focuses on the doubles tour. 2. Sara Errani practising with Alize Cornet in the morning and then Alexandra Cadantu later in the afternoon. Errani looked pretty fed up at the end as Cornet was playing really well. They were playing a pretty intense practice session. 4. I saw Anna Schmiedlova walk by the practice courts and then drop her pass. A security guard scurried after her to return it! 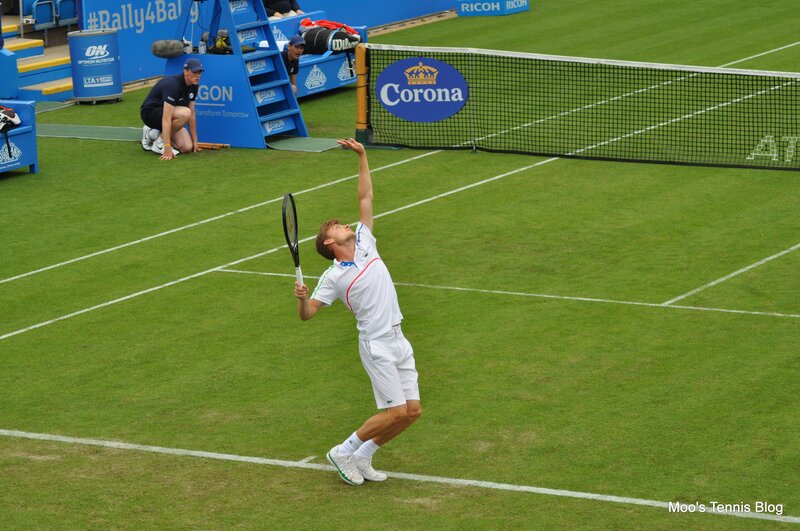 June 18, 2014 in Eastbourne, Ka. 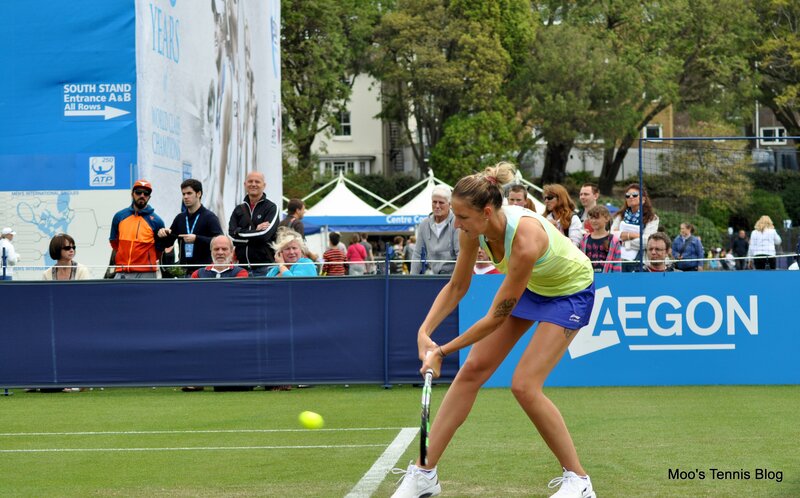 Pliskova, Kvitova, Ormaechea, Radwanska, Tomljanovic, Tournament Report, Voegele, WTA.